As a hotel that prides itself on contemporary luxury, it is no surprise that this place oozes elegance. With 188 stylish rooms and suites offering captivating views of Edinburgh’s famous attractions including Edinburgh Castle and Princes Street, The Balmoral has a wealth of Scottish heritage on its doorstep, rightly placing it among the top hotels in the country; each room possesses a certain elegance, in keeping with hotel’s magnificent aesthetic. The world-class dining is also something to behold – just don’t let Michelin Star chef Jeff Bland give you the wrong impression. 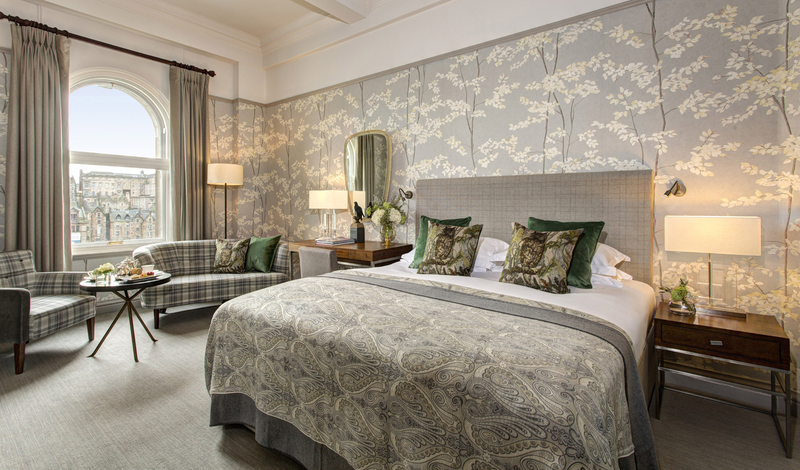 Set on Princes Street, The Balmoral enjoys an unrivalled location for exploring Scotland’s charming capital with luxury department stores and fascinating attractions all within walking distance. Just half an hour’s drive from the airport and a few minutes walk from Edinburgh Waverley train station, it makes for the perfect London to Scotland escape. For a touch of Regal splendour in Edinburgh, it simply has to be The Balmoral. The perfect combination of traditional elegance and contemporary luxury, each of the 168 rooms offer a stylish space in which to relax, complete with sumptuous king-sized beds and sleek marble bathrooms. For an added decadent touch, however, you can’t beat the 20 magnificent suites. Incredibly spacious with stunning views of the castle, a stay here is fit for royalty. Embedded in the heart of the city, The Balmoral is a perfect retreat to escape the everyday hustle and bustle. Occupying one of the most prestigious addresses in the city, Edinburgh is on your doorstep. 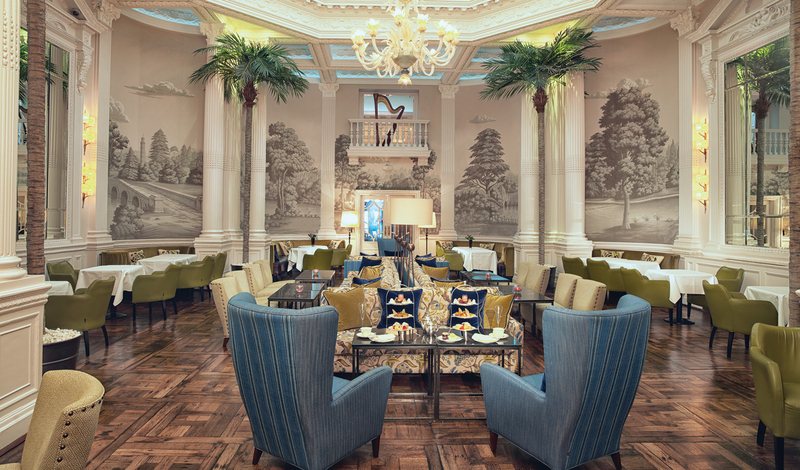 Perfect for a stroll, discover countless fascinating museums before enjoying a quintessential afternoon tea in the Palm Court.